If you own a Windows PC then you need to keep your PC safe from the increasing number of Malwares, Viruses, Trojans, Spamware and Hackers. You need to choose the best out of the numerous Anti-Malware programs available. Most of these anti-malware programs are costly and put a load on the pocket of an average computer user. But you can still get the best of PC security for free and that too in a legitimate way. By legitimate I mean you don’t need to use any crack or tweak to use them as they are simply freewares. Here is our list of top 5 free Anti-Malware programs for Windows PCs. Number 5 on our list is the Malwarebytes Anti-Malware program. This program does not have a high system requirements list so you can use this program on PCs with low hardware configurations and still this program will prove to be fast and reliable. The reason we have put this program on the number 5 is that Malwarebytes does not have a real-time security feature. This feature is available in the paid version but in the free version you have to run the tool to resolve the issues. There’s a Chameleon technology included in the anti-malware program which would get this software running on the various systems which are already infected, thus it would be a better option where many infected computers won’t be usually able to install new security softwares due to the malware. Real-Time Active Malware Prevention Engine blocks all the known threats that are incoming into the system. This is a great choice for those who are looking for a free and feature full anti-malware programs. A-squared anti-malware scanner is available for free for private use. This anti-malware program does not only protect you from spywares but it also detects Trojans, Backdoors, Keyloggers and other harmful pests that put your digital life at a risk. 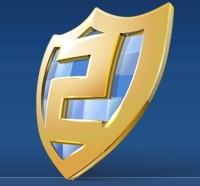 Download the Emsisoft Anti-Malware free program from here. Panda Cloud Antivirus keeps you safe from threats while you surf the internet, play games or do your work. This Program is so light that you won’t notice it performing its task. Panda Cloud antivirus is a fast and reliable choice. It keeps you safe from the latest malwares, Trojans, viruses and other harmful programs by referring to the PandaLabs’ servers where information about the latest malwares is stored. Avast antivirus has always proved to be a reliable anti-malware program. The Free version is free of charge for non-commercial purposes. 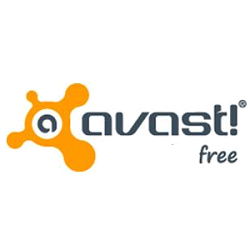 Avast Freeware has many ground breaking features such as in-built Anti-spyware, Web Shield, System Integration, P2P and IM Shields, in-built Anti-rootkit. With its enormous amount features Avast free antivirus can beat several other paid anti-malware softwares easily. AVG Anti-Virus Free Edition is the best choice when you are looking for a smooth and light security program against threats for your PC. It includes several necessary security features to make sure you get a safe computing experience. AVG is famous and is trusted by millions of users for keeping their Windows PCs safe. We hope that after reading this article you will choose the best anti-malware program for your Windows PC. If you have any suggestions then write it in the comment section below. Download VirusBarrier Antivirus for Mac with Anti-Spyware.